Volunteer Action for Aging (VAA) is a volunteer service program operating under Independence at Home, a non-profit care management organization that supports disabled adults and seniors in their efforts to remain healthy and independent in their homes and communities. Our volunteer program works to assist and develop nurturing and caring relationships with disabled adults and homebound seniors. Homeless Hygiene Care kit Event: Volunteers of all ages including seniors, Veterans, and young adults will gather to assemble homeless care kits. 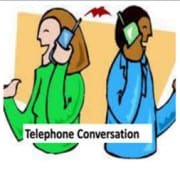 Cell Phone Instruction To assist seniors understand the basic or advanced functions of their cell phones or Smart phones we need patient teachers who can work individually with seniors at a downtown Long Beach senior apartment building. ALL YEAR Friendly Visitor/Phone Friend Volunteer: on a weekly basis, volunteers provide either friendly visits or phone calls to matched clients. They offer emotional support, companionship and conversation to reduce loneliness and isolation. Writing Letters for our Troops Event: clients and volunteers come together to write letters for our active military and veterans. Letters are sent to Operation Gratitude, a non-profit organization that sends care packages to the military. Thanksgiving Meal Delivery Ev: This event has become a family tradition for many and we have volunteers who help year after year. Volunteer Action for Aging accepts donations. Donate Now. Would you recommend Volunteer Action for Aging? Great staff, I like the different types of events they offer. It's easy to select a one day volunteer opportunity or participate in an ongoing activity. They work hard at keeping all volunteers involved through monthly newsletters and coffee groups. I've volunteered a ton in LB but this is one that I have kept close to mind. The work they do is amazing and their compassion and generosity is so obvious in all that they do. I think its easy to take on their mission because it feels so genuine. 5 stars. This is one of the better volunteer programs I have worked with. The communication is through and always available. The training is comprehensive and you feel appreciated as a volunteer. The work itself is very gratifying and I would recommend it to anyone who has some spare time and a smile.